I have attended the annual Village Halloween Parade for many years, battling the crowds. Unless one arrives very early and jockeys for a good viewing position, it is virtually futile to attend. Nearly all the side streets on both sides of 6th Avenue for the entire parade route (of nearly 1.5 miles) overflow with people and are cordoned off early by the police. Like myself, most city residents I know have essentially given up on attending. 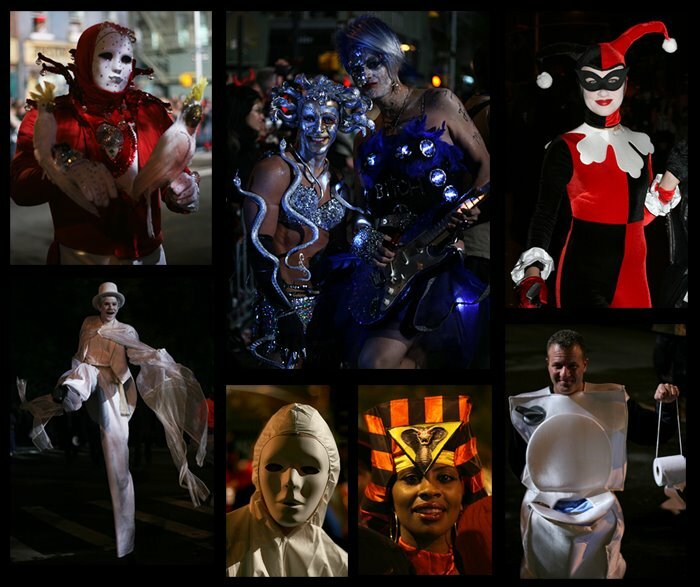 I now typically just peruse the streets after the parade ends - costumed participants continue to mill around until the wee hours of the morning. NOTE: A history of the parade, with links and photos from the past two years can be found on my previous postings: Halloween Parade Preview 2006, Halloween Parade 2006, Village Parade 2007 Preview, Village Halloween Parade 2007, Village Halloween Parade 2007 Part 2.